Now you can grow one of the true classics of cannabis culture, the world-famous variety Blueberry, in automatic format thanks to Concrete Jungle. 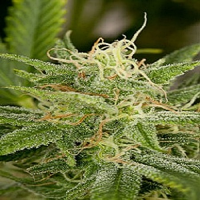 Blueberry Auto Feminized Marijuana Seeds by Concrete Jungle Seeds: Now you can grow one of the true classics of cannabis culture, the world-famous variety Blueberry, in automatic format thanks to Concrete Jungle. 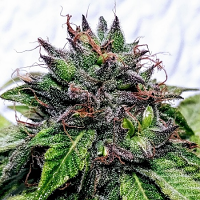 Originating in the 70s and created by the famous North American breeder DJ Short from a selection of exotic landraces, this Indica-dominant autoflowering hybrid can be harvested 90 days after germination. Ideal for pain relief, Blueberry Auto offers an intense explosion of sweet and fruity terpenes.